LiquidText is a good app to help you enhance your reading. It provides you with a virtual workspace where you can manage, organize and work on your documents. More specifically, it lets you import documents (compatible with Word, PDF, and PowerPoint) and web pages right into your workspace, you can exact excerpts and key facts from your documents and draw or add your own notes. 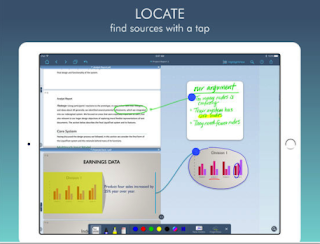 You can also create mind maps, connect different documents and jot down comments on multiple pages at once. LiquidText is especially helpful for research students. It’s definitely a time save. Import unlimited number of documents into a project, view up to 3 at once. Make comments that link to multiple documents at once. Send a full LiquidText file for those with the app.